Get stuck into classical British flavours! To mark the Queen’s official birthday celebration, the team at Quattro Food’s factory in Portsmouth, Hampshire have been concocting some classical British flavours to commemorate the event, which can be created bespoke for your business for food service companies, restaurant and pub chains or wholesalers. Britain is known for homely and tasty dishes that can often be simple but big on flavour. With your business, we can work together to create a unique, British menu that’s fit for royalty as we like to use seasonal and top-quality ingredients that packs a punch. Here are some of our British favourites that we have been cooking up – we hope they bring you food inspiration, whether for your menu or on the shelves of your wholesaler. Pies have been a Great British staple for centuries and are now firm favourites in many pubs and restaurants. If you’re looking for wholesome and scrumptious, we have been cooking up some delicious pie fillings that you can add to your pastry – so creating a hearty pie has never been easier. 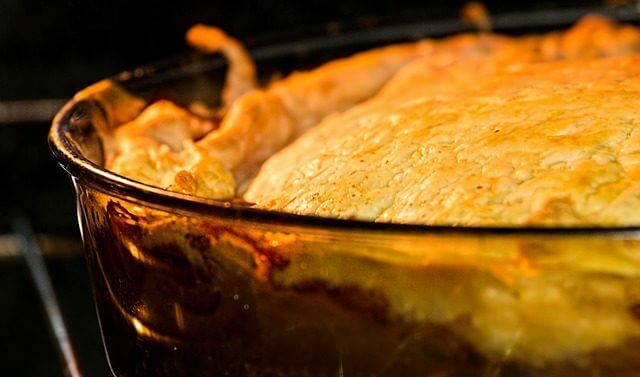 Whether you are looking for traditional beef & ale or chicken & leek, our pie fillings are the perfect main meal – and when they are paired with creamy mash potato, who can refuse this dish? If you want to veer from traditional and have a pie filling that’s bespoke to your business, get in touch and we can start creating ideas and recipes. Whether on a pie or drizzled over your Sunday lunch, ensuring you are serving great quality gravy with the right consistency is a must. Quattro Foods’ gravies are created from scratch and are made with our home-style cooking process, so you have a fresh product that will cut kitchen time and deliver on taste—perfect for pub and restaurant chains. Since our team are expert gravy manufacturers, we can create classic beef and chicken or if you want something different, we can create gourmet gravies such as lamb & mint and beef & red onion. Of course, no great British menu can go without a traditional pudding, such as a homely apple pie filling with notes of cinnamon or delectable summer fruit. For extra decadence, why not add a sweet sauce to your pudding? Whether salted-caramel, rich chocolate or a fruit sauce, we can create a product that is tailored for your business and can please your customer’s sweet-toothed cravings! So, let’s commemorate the Queen’s birthday and add some more Great British flavours into your dishes. We can manufacture food that can be tailored to your business and represent a certain cooking style or dietary need. For more information on what our development chefs can do for you, get in touch with a member of our team at Quattro Food’s factory in Portsmouth, Hampshire and we can start planning your product today. P.S. Join us on Twitter and LinkedIn and keep up-to-date with the latest industry news and what we have been up to at Quattro’s factory!